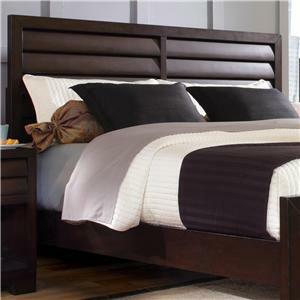 Dixie Furniture features the best selection of Beds in Charleston, North Charleston, Summerville, James Island, West Ashley, Moncks Corner, Wadamalaw, Mount Pleasant, Awendaw, McClellanville, Johns Island, Goose Creek, Ravanel, Adams Run, Ladson, Meggett, Hollywood, Younges Island, Jacksonboro, Walterboro, Huger,Cainhoy, Daniel Island, Williams, Lodge, Branchville, Cottageville, Ehrhardt, Green Pond, Grover, Islandton, Round O, Ruffin, Smoaks, Yemassee, Hampton, Charleston county, Berkeley county, Dorchester county, Colleton county. We're able to show many more products in our online catalog than in our physical showroom, so please contact us for availability information. Dixie Furniture has three furniture stores in Charleston, North Charleston and Walterboro. We have been serving the Lowcountry since 1946 and have been the place to shop for furniture in the Charleston, South Carolina area. With the Charleston, North Charleston, Walterboro, and Summerville area’s best selection of living room furniture, bedroom furniture, dining room furniture and much more; Dixie is the premier furniture store in the Charleston, South Carolina area. Dixie Furniture serves the Charleston, North Charleston, Summerville, James Island, West Ashley, Moncks Corner, Wadamalaw, Mount Pleasant, Awendaw, McClellanville, Johns Island, Goose Creek, Ravanel, Adams Run, Ladson, Meggett, Hollywood, Younges Island, Jacksonboro, Walterboro, Huger, Cainhoy, Daniel Island, Williams, Lodge, Branchville, Cottageville, Ehrhardt, Green Pond, Grover, Islandton, Round O, Ruffin, Smoaks, Yemassee, Hampton, Charleston County, Berkeley County, Dorchester County and Colleton County area.